Prominent & Leading Exporter from Delhi, we offer velpatasvir and sofosbuvir, resof total, hepcvel and valpanat and sofosbuvir tablets. 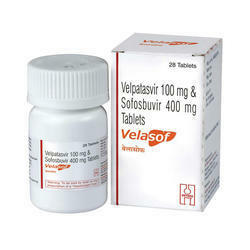 Velasof is also called as HETERO Velasof and it is the prescription drugs. 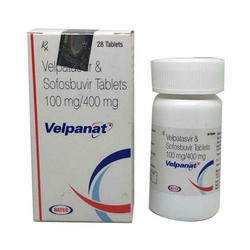 This drug is available in a bottle/tablets form and is a combination of Velpatasvir 100 mg and Sofosbuvir 400 mg. 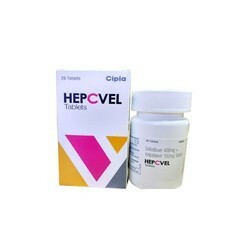 This combination of two leading salt is really a marvel when it comes to the patients suffering from Hepatitis C. Patients can have this particular drug in the form of a single tablet on a daily basis. 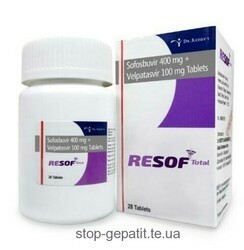 This drug is the first treatment of its kind that operates on all the genotypic 1 to 6 HCV in a successful manner.Hetero Velasof is very helpful for the treatment of those people who are affected by the ailment of chronic Hepatitis C. This drug is sold under the brand name Velasof and the chief active ingredients in this drug are Velpatasvir and Sofosbuvir in the different quantities.